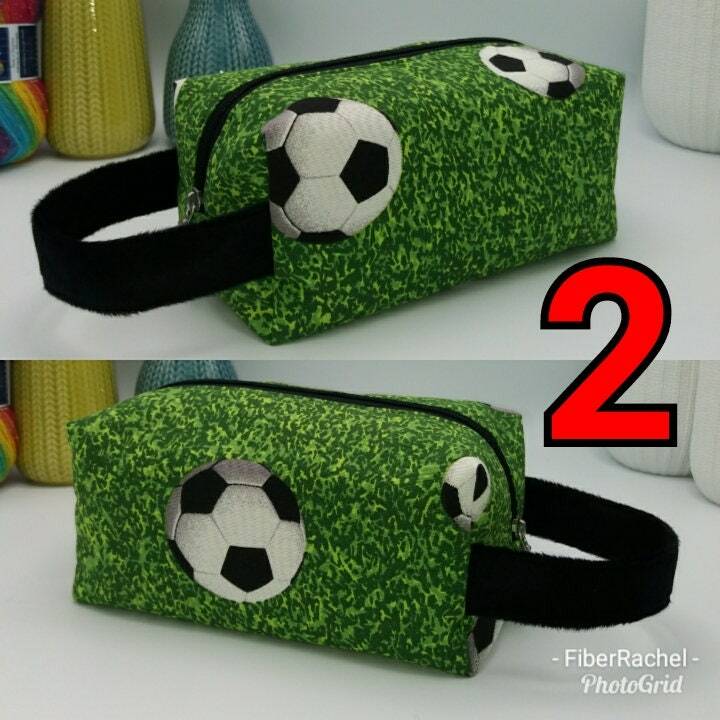 What's your favorite Soccer team? 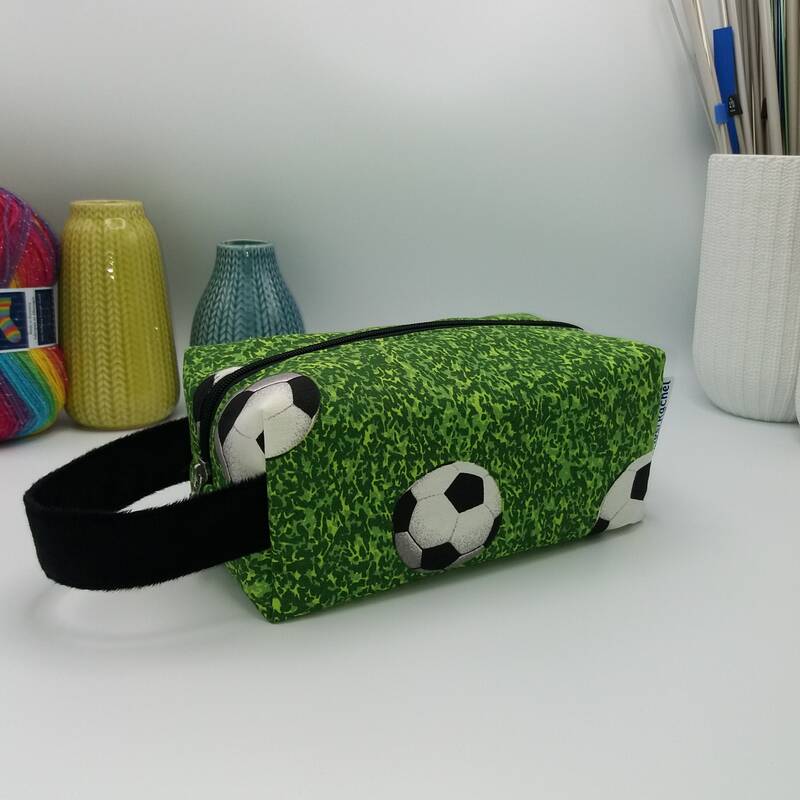 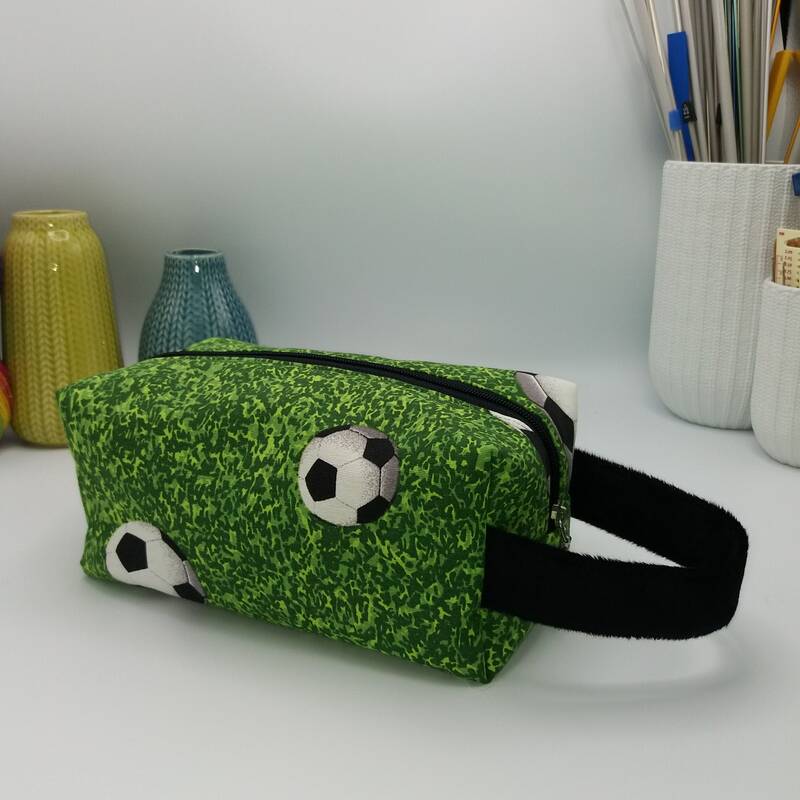 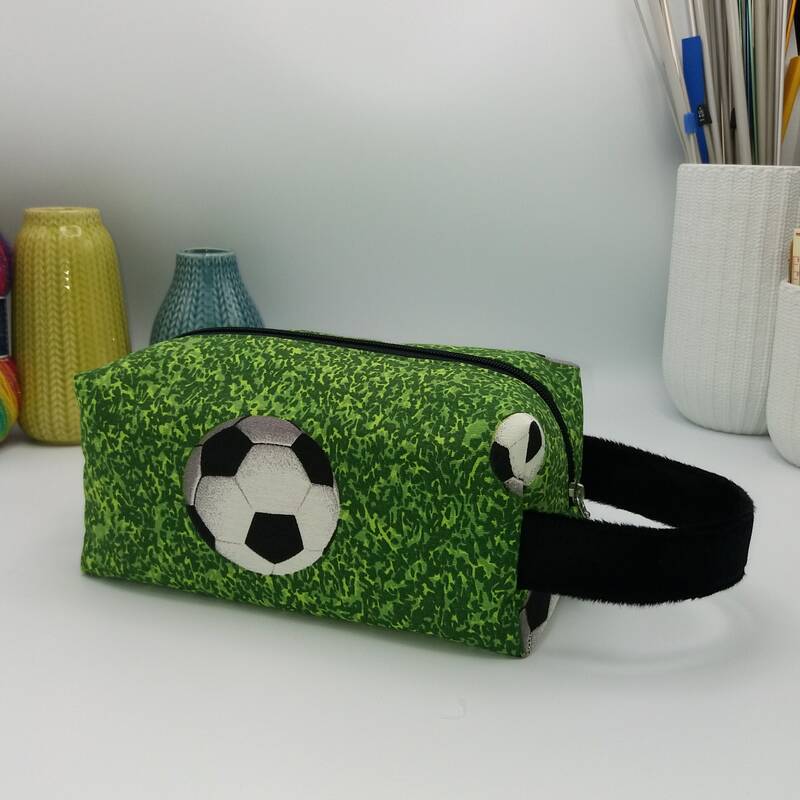 You need this bag if you take your knitting to practise or to games home or away. 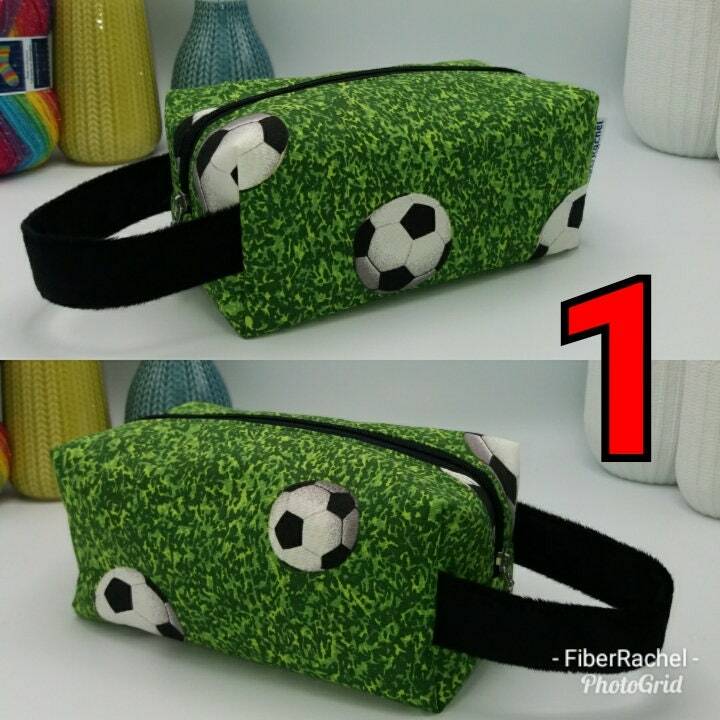 Or maybe just to keep your project close while watching the game on TV. 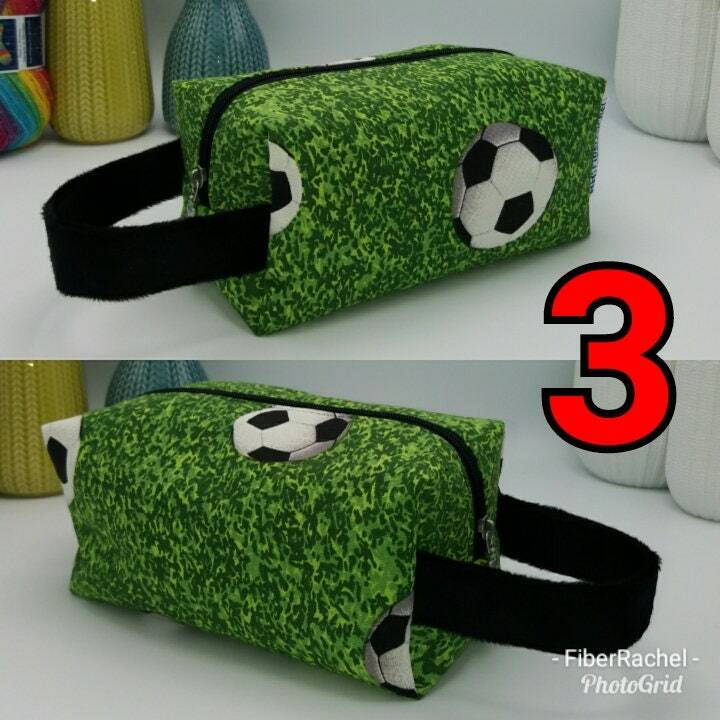 This listing is for the pictured Knitboxes, choose your favourite version. 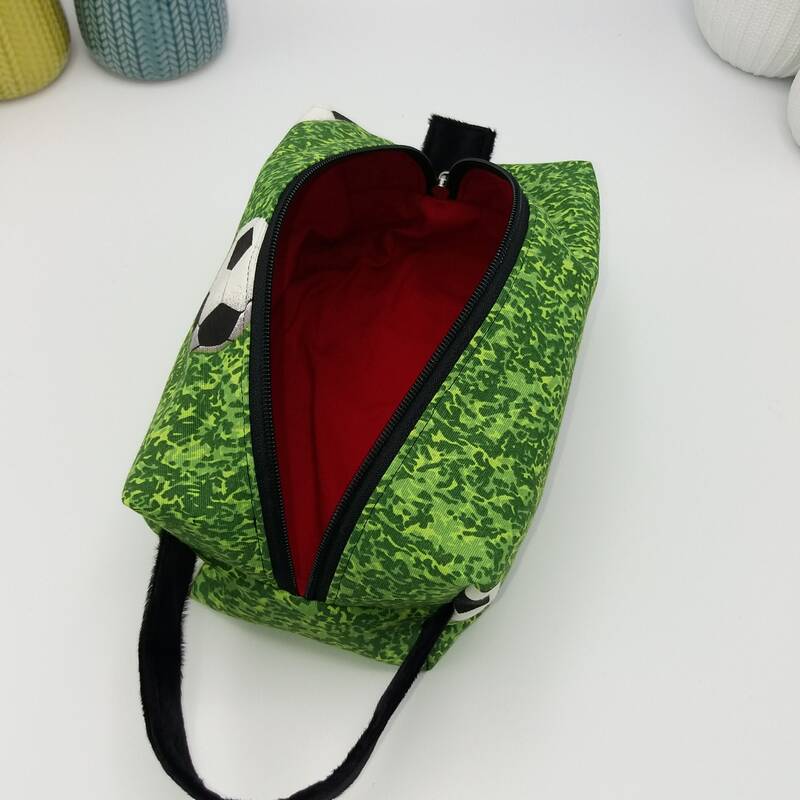 The Knitbox is a fabric box bag with a zipper and pull, handle, padded and fully lined. 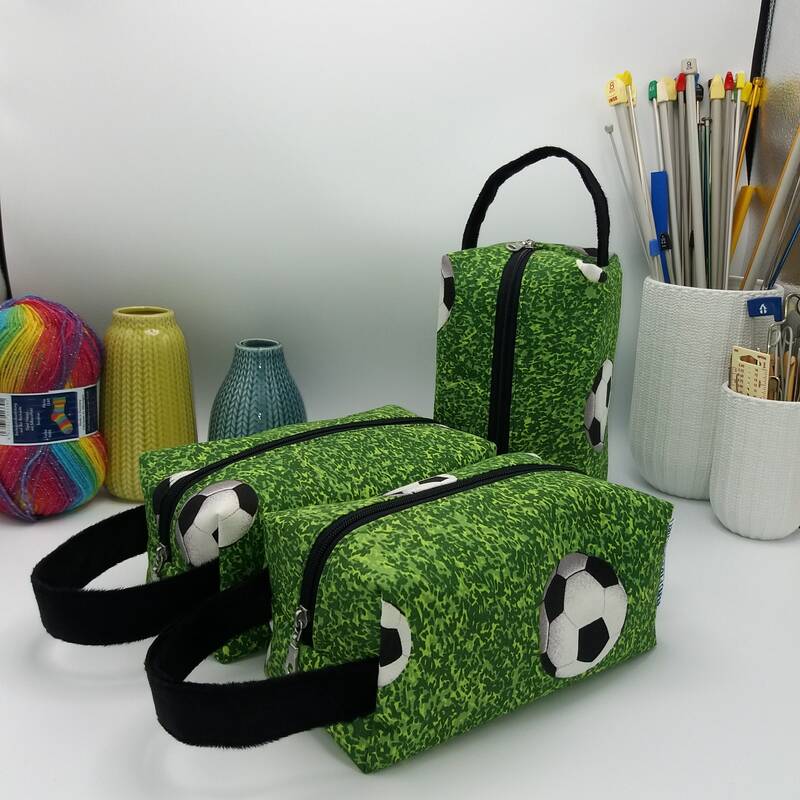 The Knitbox is especially suited for knitting or crochet projects using 1-2 balls of yarn, like socks, mittens, hats, scarves, toys etc. 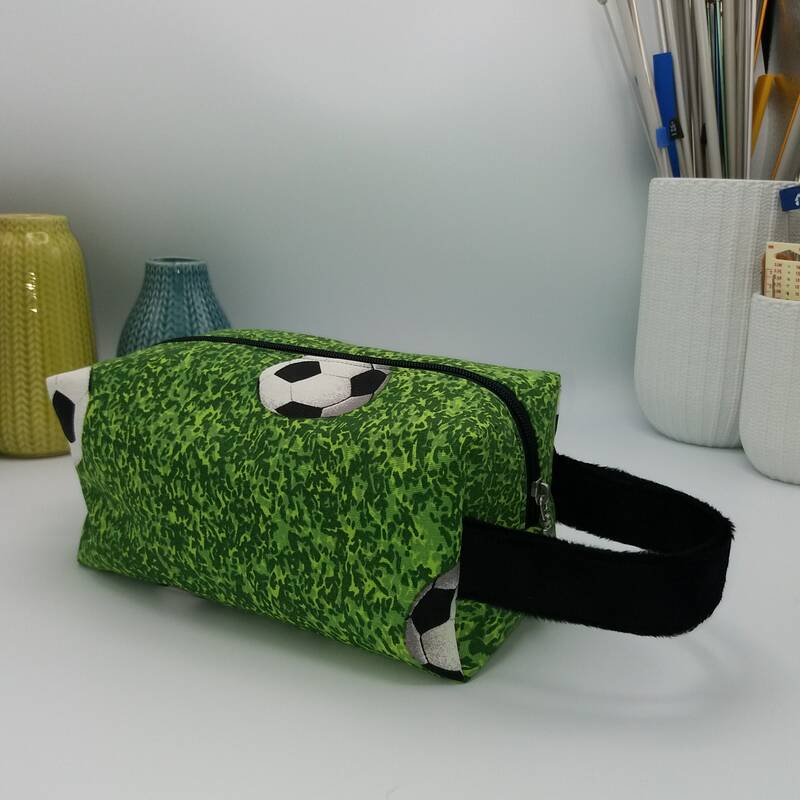 Knitbox: approx 11x11 cm and 24 cm long, 4.5" square by 10" long.